Hello hello! 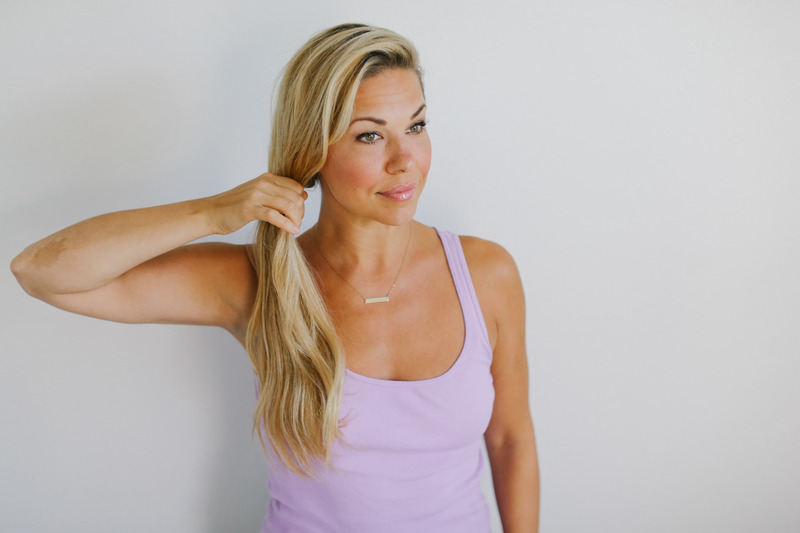 I’m so excited to begin my summer series of ‘Tress.’ I have four step-by- step tutorials showing you effortless summer hair. 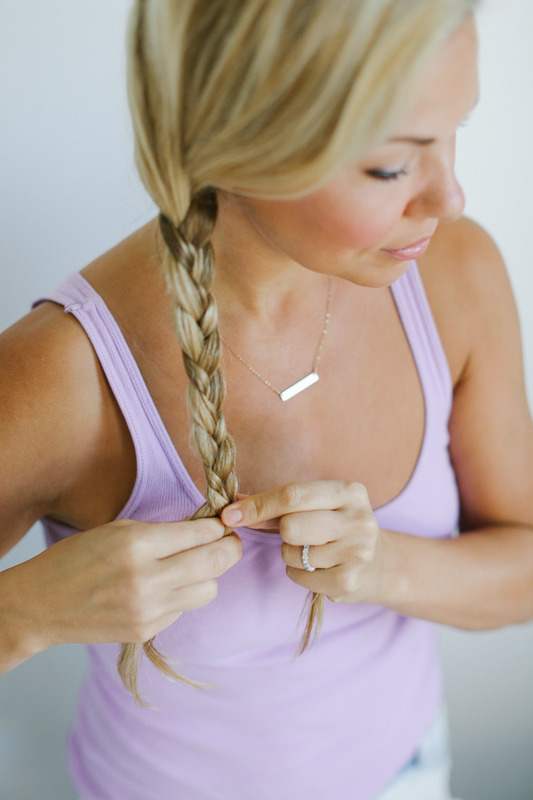 Today I’m starting with a simple side braid but hopefully sharing a few tips to make your hair go from ok to FAB! Before I get started I wanted to say HAPPY BIRTHDAY LOFTISS SAYS! My baby girl is 4 years old! I have LOVED sharing all my style and beauty tips with you. From red carpet style to ‘Make It Work’ I have so enjoyed these four years. Alriiiggggght! Let’s get started So this is definitely the easiest of the hair tutorials but wanted to begin with a summer classic that is perfect for day and night. LET’S BEGIN! Braids are best when there is product in your hair. Dry shampoo, sea salt spray, volumizing mouse- you name it. If you have bone straight hair like mine I suggest throwing in a little curl before with some hairspray so the braid has something to hold on to. Gather hair to the side. 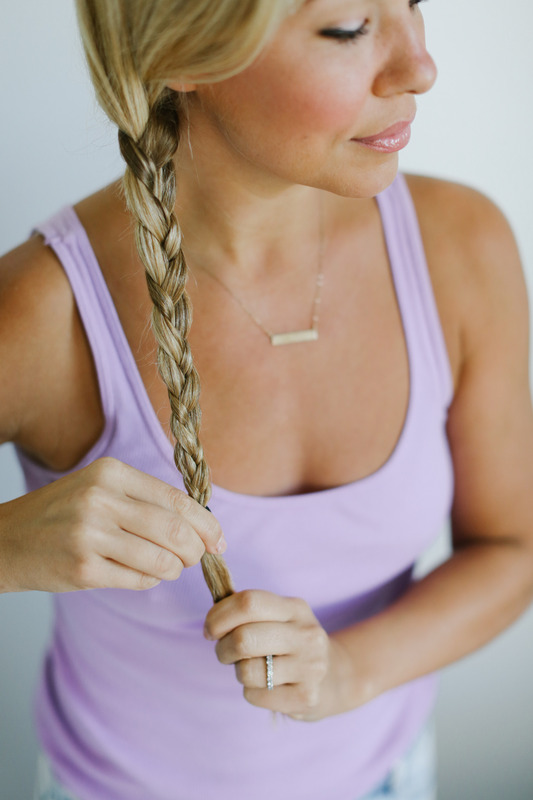 For a tradional braid- separate three pieces of hair. Place the outside strand over the middle strand on your left side. Next grab the outside strand on the right and place over the middle. Repeat over and over again until you reach the bottom of your hair. This is of uber importance. When I see someone with FLAWLESS hair it doesn’t look natural to me. Unless you are going to a red carpet event hair should look effortless, easy, no big deal. I suggest not using a mirror. If you want to part your hair at the beginning, of course, but after that I feel it’s best to walk away and really “feel” your strands. When you look at the mirror is when you mess up on what’s crossing over first etc ESPECAILLY with over-under braids or fishtails. Trust yourself and use your senses of touch over sight. 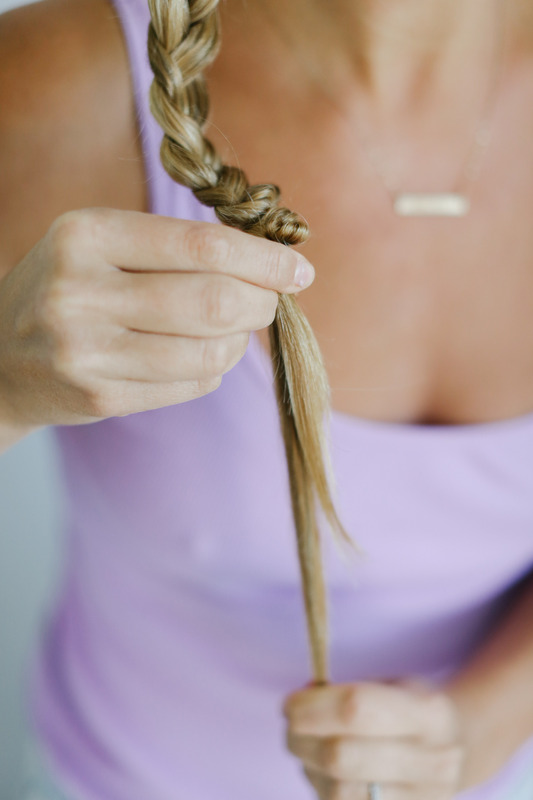 Time to mess up that braid. Hold on a strand of hair from the bottom and push the rubber band up. 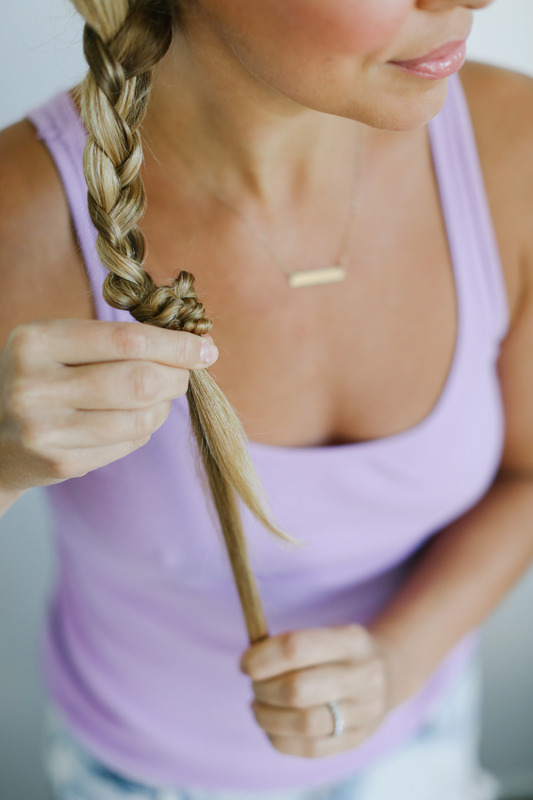 This will force your braid to scrunch up. Last, but to me the most important advice, separate. your. braid. This is the only way you will not look like you are 11 years old. Again, braids are not supposed to be precise so you need to get in there and separate. I enjoy when strands are falling out and the braid sections are a little off with their dimensions. THIS IS REAL LIFE! Also this will make your hair look 3x thicker. Viola! 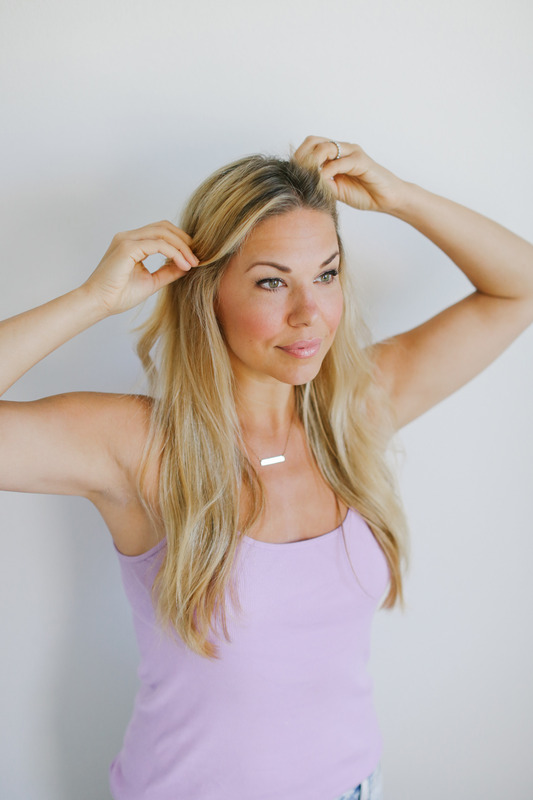 Here is your everyday side braid! If you want to go extreme, and I think incredible for nighttime + dressy events, really separate that hair. This way it truly looks like art. I would grab a piece of hair around the bottom to hide the rubberband. I promise you will get compliments on this look! Tags: Beauty expert, beauty tips, bridal hair, bridesmaids, effortless hair, hair, hair tips, style expert, stylist, summer, summer braids, summer updo, updo. Bookmark the permalink. Thanks, Emily. Your hair how-to tutorials are so easy to follow. You are so welcome!!!! Here to help! Thank you for being a “fan” (friend) of mine for so long!